Written for Maplin Electronics, purveyor of electronic components to enthusiasts and professionals. Provides background information, data, explanations, and formulae for designing, constructing, and testing electronic circuits. 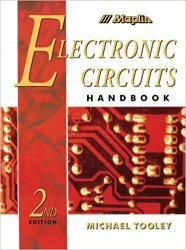 Also describes specific circuits for a wide range of tasks, designed to be the cheapest and easiest method.